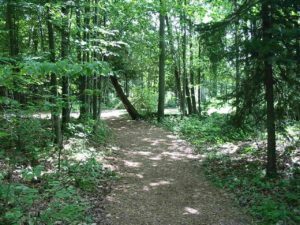 Look at what is new at Trout Creek and in our area! This summer, play a round of Ping Pong, foosball or air hockey at the new Game Room! Located by the Snack Shack and outdoor pool, this great addition will be open from 9am – 10pm each day. Check it out! When you visit us this summer, do not forget to bring your hiking shoes with you. We have been working on our beautiful hiking trails and have put up new markers so that you can find your way easily. 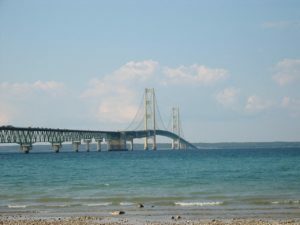 New bridges have also been installed. Ask the front desk for a new map when you are here. It is just gorgeous out there! We just finished building our new play structure behind the fitness center. The kids love it! 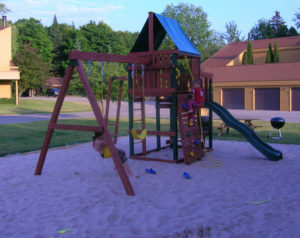 It offers a slide, swings, rock wall and monkey bars. Check it out when you are here! All new sand too! For your enjoyment, you can now grill your meal on the new charcoal grills that have been installed next to the playground behind the fitness center and also beside the indoor/outdoor pool. Have lunch at the Snack Shack this summer (formerly known as "The Grill"). Jody will be happy to make you the most outstanding toasted tuna sandwich, Sloppy Joe, coney dog and all sorts of snacks. Relax by the outdoor pool, play a game of tennis or fish in the ponds and let Jody prepare your lunch! The new Odawa Casino in Petoskey opened its doors in June. 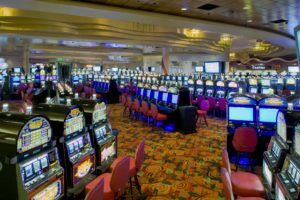 Try your luck with over 1500 slot machines, 36 table games, live entertainment and it is open 24 hours. Located just 20 minutes from Trout Creek, this could be the nightlife that you are looking for.